My first initiative project idea came to me when I first came to Laagna library (which is the closest to our kindergarten) and noticed a wide range of children literature there. However, as the library worker noticed, some kids who come to the library struggle with finding a book of interest amongst many and many of other books. So we decided that we could collaborate to familiarize the kids from the kindergarten I am currently volunteering with the treasures, hidden in the local library, and teach them to navigate among them. To bring the metaphor of the treasures to life, I opted for a library treasure hunt. The preparation took quite a long time, as I had to get myself familiarized with the library catalog and make or borrow necessary props. Also, such a format was new for the library, so we needed to discuss it through with the staff. 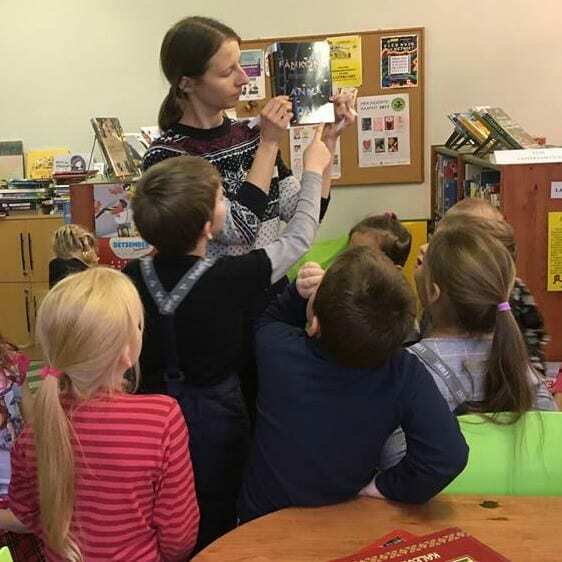 When the children with their teachers came to the kindergarten, they were warmly welcomed by Valeria, a library worker. She organized a quick guided tour for the kids to show them all the shelves and how to navigate among them. And then the practical part came: they had to find several specific books to find the pieces of a map in them. The map, which could lead them to the treasure! When the pieces were collected and the map was assembled, we rushed to another room, following the directions given on the map. And we did find the treasure, but the chest (well, rather box :)) was locked! So the kids had to solve some puzzles (also related to finding books in a library) in order to find the code and finally reach the presents. 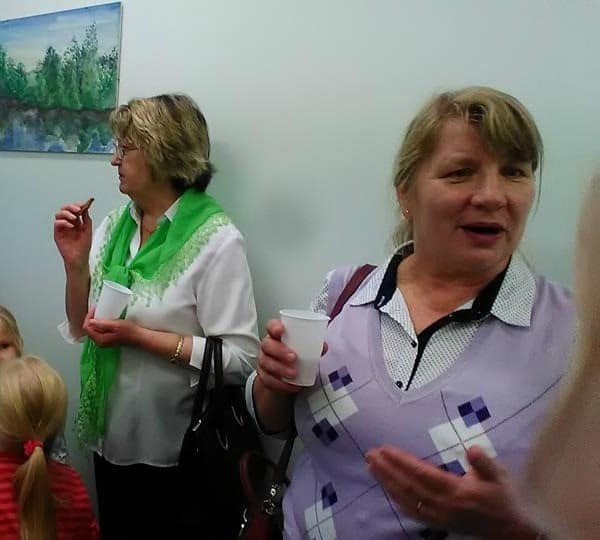 And then the children and the teachers had one more surprise – a tea-party and nice informal conversation with the library workers. All of them were excited and, it seems, sincerely interested in continuing the collaboration. 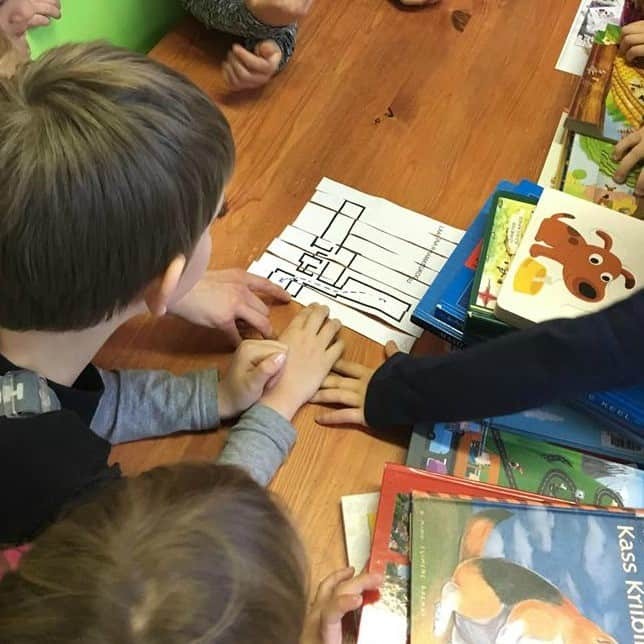 So I believe that my goal is fulfilled: I managed not only to organize an event for the whole kindergarten group (which is quite big) and introduce the new treasure hunt event format to the library staff, but also to motivate our kindergarten and the local library to collaborate. Hope, the collaboration will flourish, and more exciting discoveries will wait for the kids (who are now, by the way, much more independent library users!) I also believe that such events can attract more young readers to the libraries. I am currently volunteering for the Loitsu kindergarten within the 12-month project “Boost the Mind III” which is funded by Erasmus+ European Voluntary Service program and coordinated by EstYES. 2. As a passionate language learner and teacher, I am always eager to learn about new project and initiatives – and take part in them, if possible. Looking for the ways to improve my Estonian I discovered that Tallinn Central Library organizes a lot of so-called languages cafes. 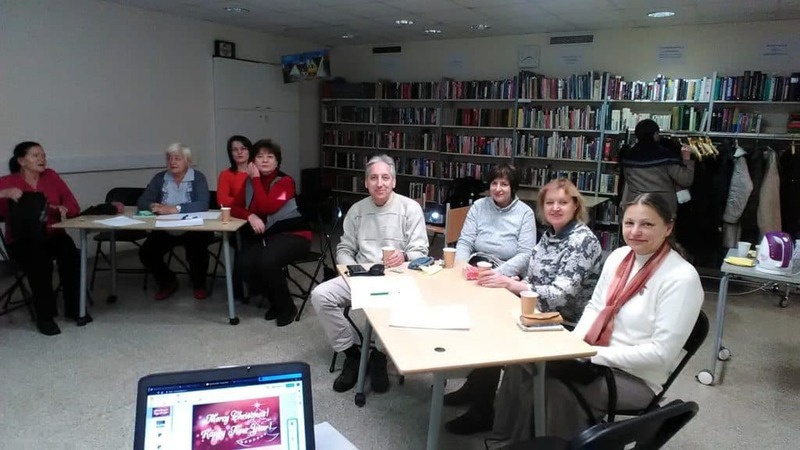 They are informal speaking clubs, where people talk to each other and volunteer teachers in a language they learn, have tea or coffee – and a lot of fun! The language cafes function in almost every library branch in many different languages. So, in spring 2018 I joined the Estonian language cafe as a student, and shortly after it started to volunteer for the Russian cafe. However, I felt that I could do more. So in summer, with a lot of support from the library, I launched a Russian and an English course for complete beginners. It was quite a challenge for me, as I had never worked with large groups of adult learners before. Even more challenging, some of the Russian learners were actually my friends – also EVS volunteers! And some of the local students were actually already quite fluent in the languages they wanted to learn – so I had to learn to work with multi-level groups. However, the courses ran pretty well, although I had to learn a lot on the go. 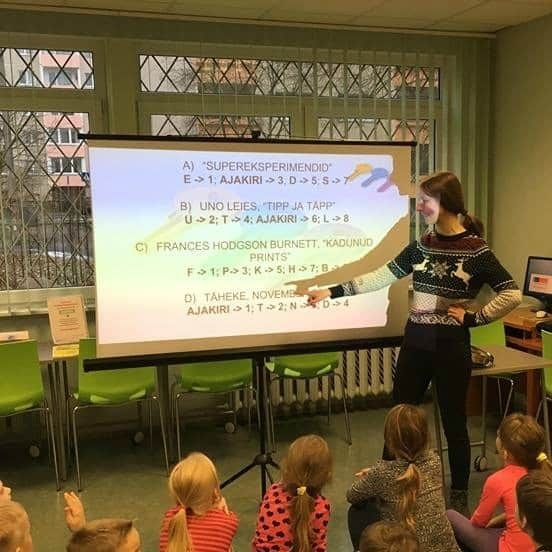 I did my best to motivate the language learners and show to them that learning can be fun and easy – as I know that sometimes it can seem extremely hard! I have gained a lot from this experience, and, I hope, so did my students – at least, the most motivated and successful ones continue learning the languages in a less formal setting in our languages cafes. And I am already thinking about the second run of the courses! 3. a) In summer I participated in an EstYES workcamp in the Optimum Semper vocational school, Tallinn, Estonia, where children of all languages learn languages and arts. As we made good friends with the school staff, I was occasionally invited to the school for some events. I talked to the kids in English, as they learn this language, and I could see that they are happy to use what they have already learned. However as I used to teach languages, I know that sometimes it is hard for them to use the language outside of the classroom. This is true for the learners of all ages, but especially for the younger ones, as they cannot travel on their own yet. So I decided to organize a board game night for them as the second part of my initiative project. 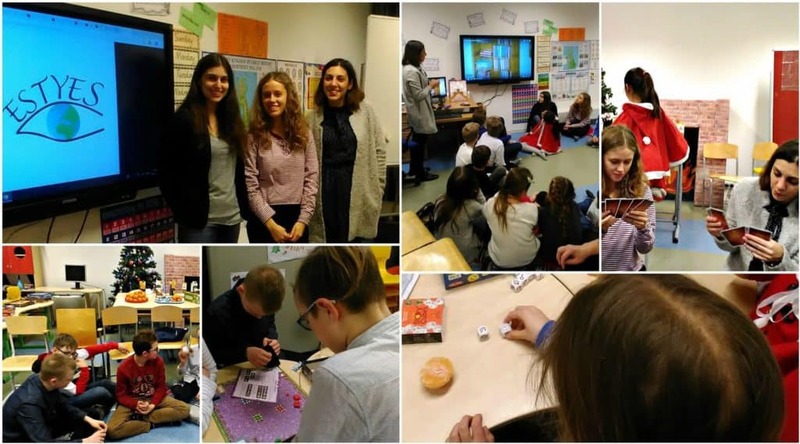 The main goal of the event was to show to the students that English is not only about grammar exercises, it can be used in a very informal setting to actually communicate with the speakers of other languages from any country in the world – and do fun and interesting things with them. At the same time, I wanted to introduce a new format of a (Christmas) party to the language teachers, as they had never used it before. At the same time, I realized that it could be a great opportunity to gently introduce different countries and the idea of volunteering abroad to those students who will soon finish school and start looking for different opportunities. And, of course, I had my own personal goal – to learn to organize events for quite big groups of secondary students, which I had never done before. So, on the 19th of December we all gathered in a cosy room (which, I hope, did not look as a classroom anymore): Jelena (an English teacher from Optimum Semper), Hanna, Annelina and Dimitra (my friends and fellow volunteers from Germany, Austria and Greece), me and around 20 late primary and secondary students. First, we had a quick introduction tour. In the course of it we told the kids that we are volunteers from different countries, and volunteering can be a great option for them too, once they have finished school and turned 18. And of course, they need English for this! Dimitra showed a nice video, introducing beautiful Greece, to motivate them. Then the main part beginned: the tea-party and the board game night! We split into several groups, each of them could choose any games from the vast variety, and the fun started! There was only one rule: English only! That was quite challenging for some lower-level students, but even they did quite well. And, most importantly, everyone was having fun! The evening concluded with all of us singing “Jingle Bells”, as one of the students was playing the guitar in the gentle glow of Christmas lights. I hope that everyone left the school that night taking with them a bit of the atmosphere of this truly international Christmas party, inspiration and new ideas. I can hardly find a better summary for the event than the words of one of the teens leaving when the event was over: “It was really good! The only pity is that it was oh so short”. b) On the 19th of December we gathered together with Hanna, Annelina and Dimitra (thank you so much, girls, for your support!) to organize a party for Optimum Semper students! At first, we had a quick introduction tour introducing ourselves, our countries and the idea of volunteering to the teens, and then the fun started – a tea party and a board game night! Tea, gingerbreads, Christmas tunes, board games – it was fun! 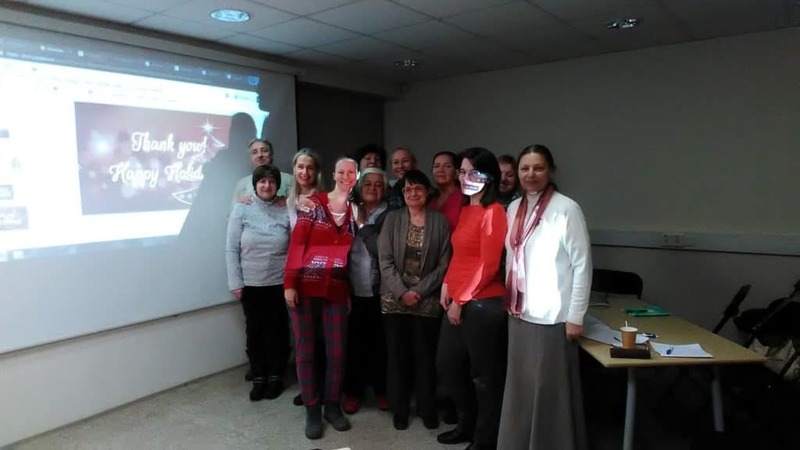 Elena Samsonova stayed in Estonia for 12 months within the project “Boost the Mind III” which is funded by Erasmus+ European Voluntary Service program.